Environmental pressures stemming from climate change are increasingly a driver of conflict and an additional source of vulnerability for affected communities. Such pressures may also contribute to the displacement of individuals both within their own country and across borders. What protections are offered by international humanitarian law, international refugee law and international human rights law for victims of conflict who are contending with environmental degradation, disasters and damage? And, in respect to international refugee law, how do debates about its relevance to climate change sit within broader developments on global governance for displacement and migration, in particular the recently adopted UN Global Compacts for refugees and for migration? A look to the horizon: where will trade and investment law, investment protection and investor-state dispute settlement be in 20 years? 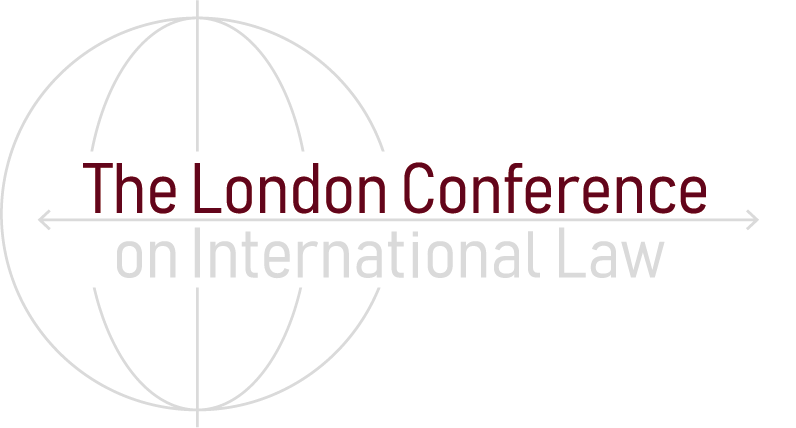 This panel will bring together experts in the law of international investment and international commercial law to consider past, present and future perspectives of international investment law and dispute resolution, including evolution and likely conclusions of current debate around development of investment protections, future of Investor-State Dispute Mechanisms, and the impact of Brexit. The panel will consider how learning from the obstacles faced by WTO in the past 20 years can help identify workable solutions to challenges today in the investment context and how the international system might be improved or changed in future. What is the use of the ICC? The Rome Statute has just turned 20. But has the International Criminal Court lived up to expectations, and are they set unrealistically high by States, civil society, victims groups and the Court itself? This panel will assess the performance of those actors ultimately responsible for the Court’s success – the institution itself as well as States Parties, and consider which aspects of the Court’s functioning and the Rome Statute system more broadly are ripe for radical reform. The prohibition on the use of force – development or erosion? International lawyers consider the prohibition on the use of force in Article 2(4) of the UN Charter to be a foundation of the international order. The Charter system, to which Article 2(4) is so central, can claim many successes. But that system remains largely a horizontal system amongst sovereign States, in which UN Security Council action can be constrained for political reasons. In contrast much violence in the world today does not take place at the inter-State level, but rather at the level of non-State groups (including some that can now more easily also organise and operate transnationally with potentially devastating effect) taking up arms against a State, or at the level of oppressive States taking up arms against elements of their own populations. In the context of the problems of the contemporary world, are the Charter provisions adequate to allow for the countering of violence as well as the preservation of international peace and security? What is the right approach to the interpretation of Article 2(4)? This panel will focus on the current efforts aimed at closing the accountability gap in the business and human rights sector, both at national and international levels. While the third pillar of the UN Guiding Principles on business and human rights calls for access to remedies, including judicial remedies, for violations of human rights linked to the corporate sector, such remedies are often not available to victims. The issue of corporate accountability for human rights violations is particularly challenging in the supply chain. The panel will discuss the role of states and international organisations in ensuring that business enterprises do conduct human rights due diligence in order to prevent human rights abuses, including in the supply chain. The oceans and seas are a site where national interests can co-exist – or clash – with shared resources, high seas freedoms, and common interests. This roundtable brings together leading academic, government and policy experts to explore responses to contemporary maritime security threats, such as piracy, drug-trafficking, environmental damage, terrorism, weapons of mass destruction and illegal fishing. This session speaks directly to the theme of the conference, Engaging with International Law. Speakers representative of academia, practice, and the judiciary, will share their perspective on the use of international law and how their respective field engages with it. As part of its 10th Anniversary celebrations, and in keeping with the conference theme, the Supreme Court welcomes conference participants to the Court to engage with it on international law. Those attending will be invited to join a session delivered by its Justices, and to exchange dialogue on important topics of international law. Full details will be released closer to the conference date. Places are limited so please register your interest early. A conversation between on challenges to human rights, including suppression of free speech, violations of the right to a fair trial, and the role (and limitations) of international bodies in redressing violations. The speakers will also consider innovative ways to enhance protection of human rights. International law and cyber security: can the law keep pace with technological change? There is general agreement that international law applies to cyber operations. But in relation to cyber attacks by one state on another state that fall below the threshold of use of force, what is the relevant law? The panel will explore whether the Budapest Convention is fit for purpose in tackling international cybercrime. They will also look at the implications under international human rights law of technology, including the increased use of algorithms in decision making and the use of social media in elections. This panel discussion will address the numerous contemporary legal issues associated with modern slavery and human trafficking, including forced labour, cross-border trafficking, barriers to legal accountability and remedies for the victims. The discussion will include: (a) the role of states in combatting modern slavery and human trafficking through, for example, the enforcement of international human rights standards; (b) the role of businesses, where the use of complex supply chains may render the existence of modern slavery difficult to identify and (c) the role of international law itself in addressing modern slavery and human trafficking, highlighting existing gaps and possible improvements. Environmental and climate change justice: identifying the crisis and how to address it. Accountability, extent of and urgency of the challenge and how this has been, and could be further, enshrined in international law. Key actors, key obligations under international agreements. Dispute resolution mechanisms in the Paris agreement: interpretation and how they can be used by states and other actors to promote, and enforce, compliance. Armed conflicts are increasingly undertaken in coalition. States lend airbases, cooperate on drone operations and give each other intelligence information. They also cooperate in counterterrorism operations. This panel will examine the law governing states’ responsibility for assisting another state in actions that are in violation of international law. The panel will discuss Article 16 of the Articles on State Responsibility, international humanitarian law and international human rights law, and the extent to which governments are under a duty to check in advance the circumstances in which their assistance will be used. International litigation is on the rise: established judicial institutions such as the ICJ and the PCA have seen a marked resurgence of cases and, at the same time, there has been increasing use of arbitral tribunals to resolve inter-State disputes. The subject-matter of disputes which are being referred to international courts has diversified and States are increasingly litigating cases which are factually, technically and scientifically complex. Against this background, this rapid response Q&A panel will discuss effective advocacy in inter-State litigation, focussing on oral hearings. International energy law raises important issues of security of supply, connectability, transit and competition. The panel will discuss: the current state of international and EU energy law and litigation; investment arbitration under the Energy Charter Treaty; FDI investment screening and national security in the energy sector; and the Energy Community’s role in securing an integrated pan-European energy market. Refreshments will be provided between sessions and lunch will be served between 12:30 and 13:30 on days 1 and 2.